There’s no doubt Amazon is the elephant in the room whether you’re talking about e-commerce, retail, books or cloud services. We feature another news and trends update on the global e-commerce powerhouse, 2015 financial results and a few new directions that may prove both fascinating and frightening to some competitors. Despite more than $100 billion in sales, Wall Street still wants more from Amazon. Bloomberg provided an in-depth analysis of Amazon’s pricing and path to profitability. 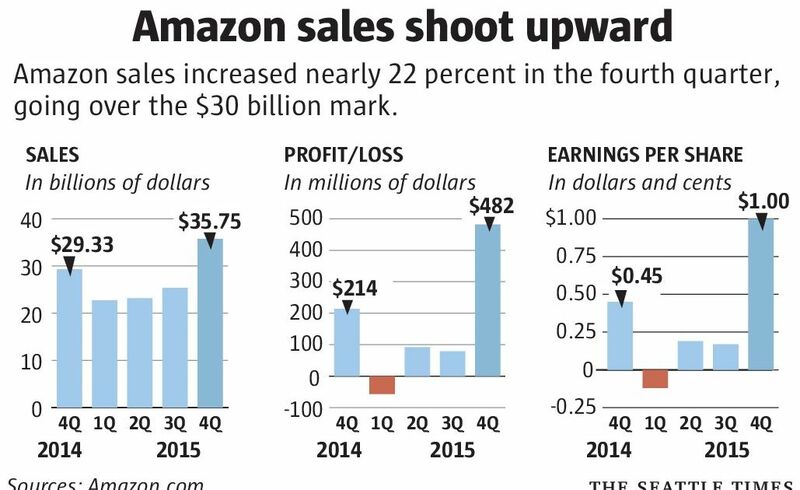 Statista charts Amazon’s relentless focus on growth versus profitability. Bloomberg compares Google with Amazon revenues and profits to paint an interesting business picture. Wedbush Securities analyst Michael Pachter express concern about Amazon’s massive investments in transportation and logistics infrastructure. Amazon Prime memberships hit 54 million, up more than 14 million, with 7 million alone in Q4, 2015. 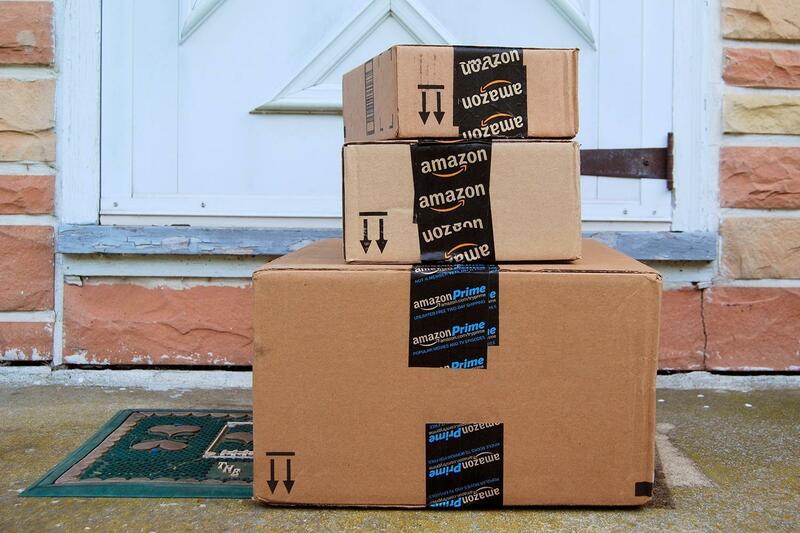 Consulting group StellaService reports that non-Prime Amazon members saw a measurable increase in delivery times. While it stumbled in China, Amazon has an intense focus on succeeding in the India marketplace and it seems to be working, according to TechinAsia. Cowen Group estimates Amazon US apparel sales at $16.34 billion, 5% of the overall US apparel market. After cannibalizing the retail book market, watch for the company to open 300 to 400 bookstores in the next several years says General Growth Properties CEO Sandeep Mathrani. 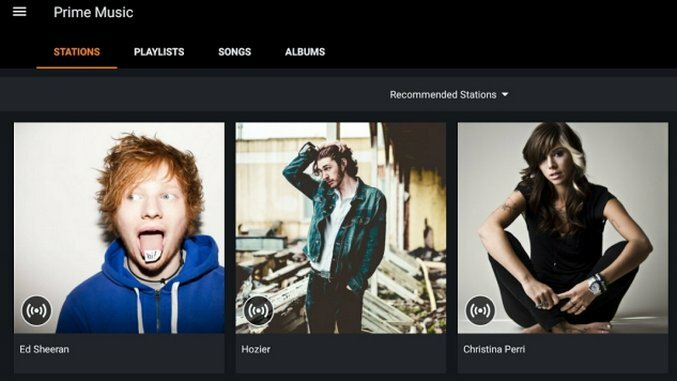 Amazon is working on a streaming music service and Paste magazine has some suggestions for key features. 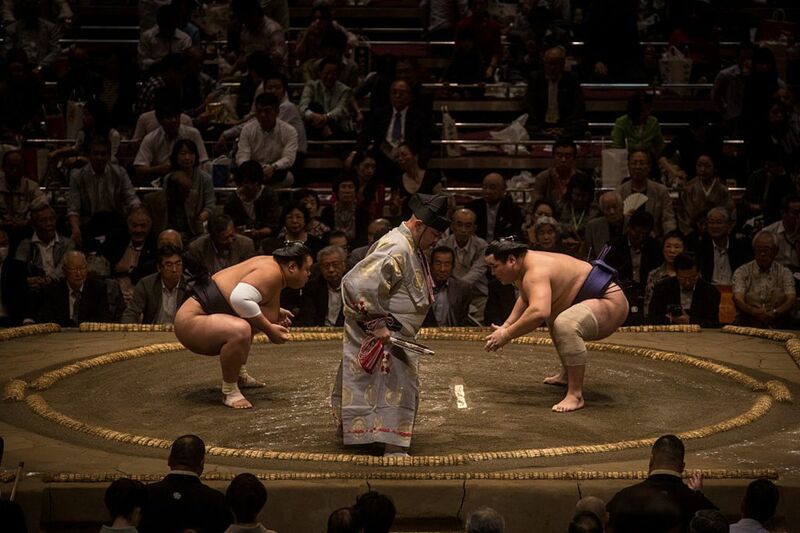 While securing content for its video channel Amazon continues to develop its own film properties to compete with Netflix and Hollywood movie studios. It will produce four American Girl live-action specials. Amazon.com is making a lot of money from the cloud. But its booming retail machine drove the company’s revenue past the $100 billion mark last year, which means Amazon is not just the world’s largest e-commerce player, but is also among the biggest retailers of all. The behemoth, based in Seattle’s South Lake Union area, said Thursday its 2015 sales had reached $107 billion, compared with $89 billion a year ago. That puts it within striking distance of The Kroger Co., the third largest global retailer after Wal-Mart and Costco Wholesale. Wall Street expects Kroger to have brought in $110 billion in sales for its current fiscal year. The e-commerce giant, which reports holiday earnings results on Thursday afternoon, has evolved from the early days of just hawking books and movies at profit-zapping low prices. Now it has a more calculated strategy of charging the lowest prices on the Internet for only selected items, while charging more for the rest of its products. That could mean trouble for the growing number of retailers killing themselves to meet or beat Amazon’s prices. If there is one thing that Amazon’s founder and CEO Jeff Bezos is famous for, it’s his relentless commitment on long-term growth. Having ignored critics for years, Bezos’ willingness to sacrifice short-term profits for long-term success appears to be bearing fruit. Not only has Amazon cemented its position as the no.1 online retailer in countless markets, it has also built an industry-leading cloud computing business and established itself as a serious contender in the growing media streaming landscape. The world’s largest search engine and the world’s largest online retailer are letting the sunshine in. In their latest annual earnings reports, Amazon and Google offered investors a first-time look at the profitability of their business segments — which had long been opaque, and objects of fascination. Amazon.com Inc. grew its Prime membership roll 35% year over year, closing 2015 with 54 million U.S. members, according to a new estimate from Consumer Intelligence Research Partners LLC, a securities research firm. That’s equal to 47% of all U.S. Amazon shoppers, the firm says. CIRP bases its findings on a survey it runs quarterly of 500 U.S. Amazon shoppers who made a purchase on Amazon.com during the quarter. In the October to December period in 2014 CIRP estimated Amazon had 40 million Prime members. In the wake of Amazon.com Inc’s disappointing financial results that sent shares plunging Thursday, analysts blamed rising costs to deliver goods, which increased to $4.5 billion in the quarter, up 24.4 percent from the same quarter last year. And they sharply questioned the company’s plans to continue to make heavy investments in logistics, even at the expense of profits. If you think you’ve been waiting longer for your deliveries from Amazon lately, it might not be your imagination. A recent study shows that the company has been shipping more slowly lately for those who aren’t members of its $99-per-year Prime service. The study comes from StellaService, a company that measures the quality of customer service from a number of online retailers. Vice president of research for the company Kevon Hills said that this slowdown is a first for Amazon in a recent interview with Forbes. While India’s potential US$100 billion ecommerce industry is in itself a good enough reason for Amazon to double down on the market, its China faux-pas definitely makes this more critical for the company’s growth that it would have been otherwise. Jeff Bezos recognizes that. Global expectations from the company are mounting by the day, so much so that a record profit quarter was still not enough to convince Wall Street investors. To grow faster, Amazon needs new frontiers. In fact, Amazon is on track to become the largest apparel and accessories retailer in the United States in a few years, according to Cowen Group, an investment advisory firm. It estimates the gross merchandise value of U.S. apparel sales transacted through Amazon in 2015 at $16.34 billion and 5% of the overall U.S. apparel market—and forecasts Amazon’s clothing sales will grow to $27.78 billion in 2017, the year Cowen predicts Amazon’s apparel business will surpass that of the current No. 1, Macy’s. Amazon is planning to open hundreds of physical bookstores according to a large mall CEO who spoke to Dow Jones. They’ve built drones, won an Emmy and now have their eyes on an Oscar, but that doesn’t stop Amazon CEO Jeff Bezos from wanting more. Recent news has spread that Amazon is working on a music streaming service. Could it be time to add Spotify to the list of Amazon’s rivals? 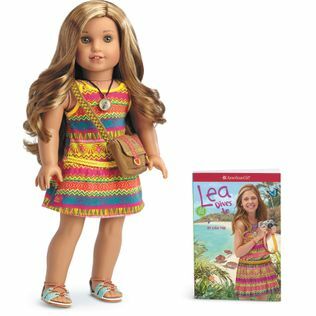 Amazon Studios, the e-commerce giant’s movie and television operation, will produce four American Girl live-action specials and perhaps several seasons of a series based on the best-selling brand aimed at girls. The move is geared to strengthening the children’s show lineup of Amazon Video, a video-streaming perk of Amazon Prime. Amazon is everywhere. What’s next? It’s hard to think of a retail or e-commerce sector that Amazon hasn’t disrupted. What’s next? Waste management, landscaping services, plumbing and house painting? Maybe not, but you’ll see it here as soon as Amazon makes its move to disrupt the next complacent industry.